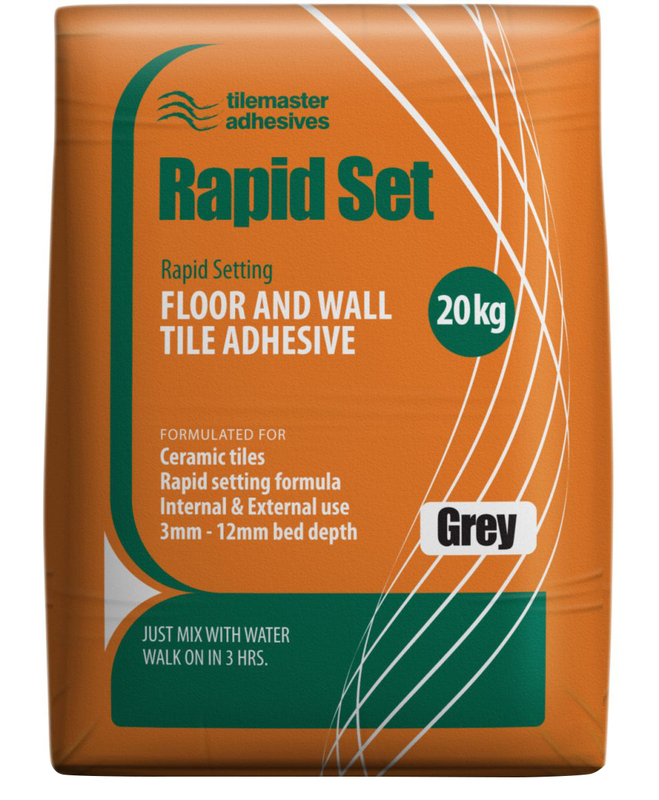 Tilemaster Setaflex Semi-Rapid is a polymer modified, flexible cement based floor and wall tile adhesive that has been specially developed to give an extended pot life of 90 – 120 minutes. 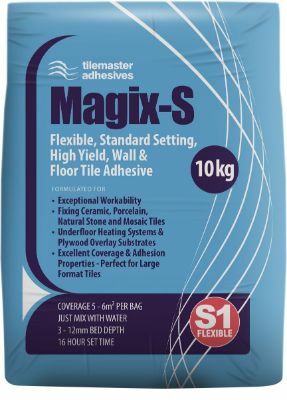 Tilemaster Setaflex Semi-Rapid has been developed for fixing a large variety of tiles such as ceramic, porcelain and natural stone tiles and the extended pot life is ideal when fixing large format and intricate tiles such as natural stone. The adhesive is fast setting and it will accept light foot traffic and grouting after 6 hours. 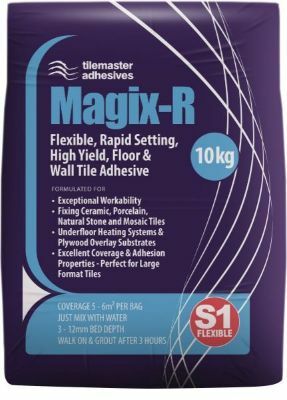 Tilemaster Setaflex Semi-Rapid is a flexible adhesive and it is ideal for fixing to substrates with limited movement and/or vibration such as plywood overlay and underfloor heating systems as well as for fixing to solid substrates such as concrete and sand/cement screed. 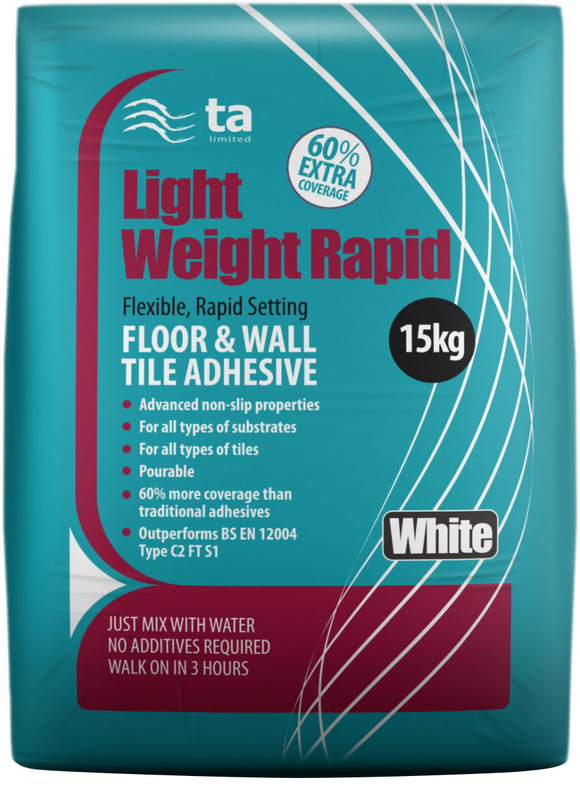 Tilemaster Setaflex Semi-Rapid is ideal for use in areas subject to prolonged or permanent wet conditions such as wet rooms and swimming pools. 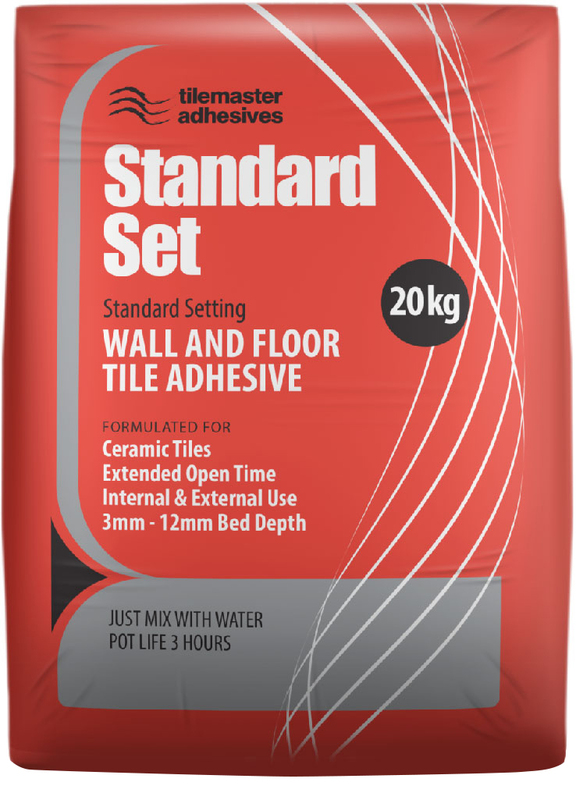 Tilemaster Setaflex Semi-Rapid can be used internally and externally and it is unaffected by frost after setting.